- Bily Acoustie and Beauty Handsome, Tune Up musicians of CJ Culture Foundation, will perform live on stage at KCON JAPAN. - They will display an acoustic performance, differentiated from idol music, on the stage. - CJ Culture Foundation will give more support for the entrance of Korean indie musicians to the global music market. With idol groups leading the worldwide craze for K-Pop, Korean indie bands have started to make their presence known in the global market, enriching the music ecosystem with their own solid musicality and distinct individuality. Among them are Beauty Handsome and Bily Acoustie who have been selected as "Tune Up Musicians." 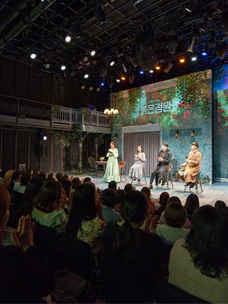 This program was introduced to support new musicians by CJ Culture Foundation Chairman Lee Jae Hyun. Bily Acoustie and Beauty Handsome, who have grown at an alarming rate in Hongdae's music market since they were selected as Tune Up Musicians in 2013 and 2014 respectively, are expected to put on a live performance at KCON JAPAN held at Makuhari Messe Convention Center in Japan from April 9 to 10, as part of CJ Culture Foundation's projects to support indie musicians' performance on stage to help them enter the global music market. "Beauty Handsome" will appear on stage on April 9, the first day of KCON JAPAN. 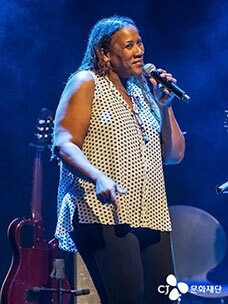 The mixed five-member band has been highly praised for their unusual groove and blues as well as their outstanding guitar skills. The band is also about to release a full-length album and hold a solo concert. Eddie Chun, the leader of the team and the singer-songwriter who advanced to the final of SBS KPOP STAR in 2012 through not only his great musical talent, but also through popular appeal, showed his high expectation of the stage saying, "I feel excited and a little nervous at the thought of performing on the big stage of KCON that I have only ever seen on screen before." "Bily Acoustie," the sentimental singer-songwriter who has a charming vocal talent and superb playing skills, will display his own music world on Sunday April 10. Increasingly popular with the female fans for his tender voice and witty words, Bily Acoustie has also been recognized as a competent musician who won the national Yoo Jae-ha Music Competition, Korea's only singer-songwriter contest. He expressed confidence about KCON JAPAN, saying, "I'll display my own charm to the Japanese K-Pop fans." Following the stage, he is scheduled to hold a joint concert with Eric Nam. Director Lee Sang-jun of CJ Culture Foundation said, "KCON USA was held at Staple Center, where the world-famous Grammy Awards took place, in Los Angeles, the U.S. last year with Tune Up Musician CoreMagaZinE performing live on stage." He further added, "This time, we will not only support the overseas performance of indie musicians, but also give them a chance to communicate with foreign fans. We are planning to aggressively help indie musicians enter the global music market, making Korean indie music widely known around the world. 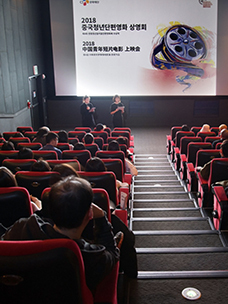 Meanwhile, CJ Culture Foundation has also supported new creators in various categories of K-Pop culture such as music, movies, musicals and plays since it was first founded in 2005. 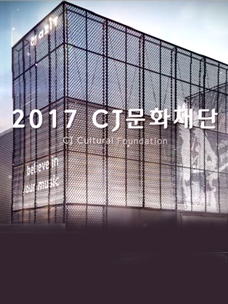 In the category of music, particularly, CJ Culture Foundation has produced 31 indie musicians over the past five years, contributing greatly to the development of the Korean music market.